You will love this theme from the first steps! 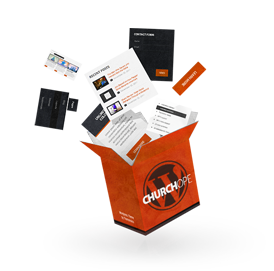 With our “One click install” feature you can setup this theme with the same look as on preview in just a couple of clicks. 1. Install and activate our theme. Dashboard -> Appearance -> Themes -> Install Themes -> Upload. 2. 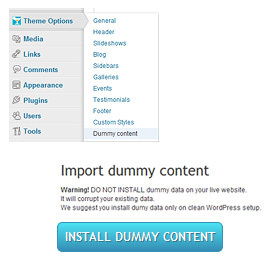 Go to Dashboard -> Theme Options -> Dummy Content and click install dummy data.